Price Armstrong is representing owners of 2008 through 2010 Harley-Davidson Touring and CVO Touring motorcycles, including Electra Glide, Road Glide, Street Glide, and Road King models. Those motorcycles contain a defective component – a faulty wheel speed sensor wiring harness – that can fail without warning to the rider, disabling the motorcycle’s anti-lock braking system (ABS), and potentially causing a serious injury or death. If you own one of these motorcycle models, you may be entitled to compensation. Motorcycle manufacturers have known, almost since motorcycles were invented, that loss of control and skidding are the causes of a high percentage of motorcycle accidents. And, when motorcycles crash, the stakes are high: according to the National Highway Traffic and Safety Administration (NHTSA), more than 80 percent of all reported motorcycle crashes result in injury or death to the rider – versus less than 20 percent of car crashes. In a major study of motorcycle safety commissioned by the US Department of Transportation, researchers found that in accidents involving only a motorcycle, “motorcycle rider error was present as the accident precipitating factor in about two-thirds of the cases, with the typical error being a slide-out and fall due to overbraking or running wide on a curve due to excess speed or under-cornering.” Thus, braking control is clearly an extremely important part of avoiding serious injury or death while riding. Anti-lock braking systems can help prevent this “typical error” of overbraking in an emergency situation by preventing the rider from locking up the brakes, which often results in a skid and loss of control. Anti-lock braking systems are an important safety component — especially on motorcycles, which have only two wheels to provide traction, control, and braking. Anti-lock brakes were invented in the 1920s, became available on airplanes in the 1950s, and were standard equipment on many cars by the late 1980s. ABS systems were also available on motorcycles sold in the United States in the 1980s. In 2012, the European Commission began requiring all new motorcycles above 125cc to be equipped with ABS. There can be no doubt that ABS saves lives on motorcycles. In 2010, the Insurance Institute for Highway Safety released a study that found that motorcycles with ABS were 37% less likely to be involved in a fatal crash than models without ABS. Similar studies of ABS on cars leave no doubt – it makes them safer, and helps prevent accidents. Unfortunately, Harley-Davidson’s ABS has been plagued with problems. In 2018, Harley issued a voluntary recall for over 175,000 of its 2008-2011 touring model motorcycles to fix a defect in the braking system, but it completely ignored another serious defect: a failure of the wiring connecting the wheel speed sensors to the ABS. As early as 2009, Harley-Davidson has known that the wiring in the anti-lock braking systems on these motorcycles could easily fail, disabling the ABS. Yet, even after being forced to issue a recall for another, entirely separate problem in its braking systems, Harley did not offer to fix this dangerous defect. Not only that, Harley still hasn’t even notified its affected owners that the ABS on their motorcycles is dangerously defective and prone to fail without warning, leaving them without ABS. Harley-Davidson knew that, if the wires in its ABS broke, the ABS would become non-functional, leaving the motorcycle with only standard “foundation” braking—requiring a completely different set of braking techniques to stop the motorcycle in an emergency. The only way a Harley-Davidson rider might know if his ABS system had failed due to wire breakage would be an illuminated light on the instrument cluster—and even that notice was inconsistent. – Harley-Davidson® Anti-Lock Braking System – How you know it’s working. Owners and operators of these defective Harley-Davidson motorcycles still believe they are riding motorcycles with functioning anti-lock brakes. If those operators follow the instructions provided to them by Harley-Davidson, and their motorcycles suffer wire breakage due to a defect known to Harley-Davidson since 2008, they could lock the wheels and experience a sudden loss of control, without warning, leading to a crash that could result in serious injury or death. Price Armstrong is accepting clients who were affected by defective 2008-2010 Harley-Davidson Touring model motorcycles. We represent clients in multiple states and are filing cases across the nation now. If you purchased, own, or have been affected by one of these motorcycles, please contact us today for a free, confidential consultation by our experienced team of dedicated lawyers. 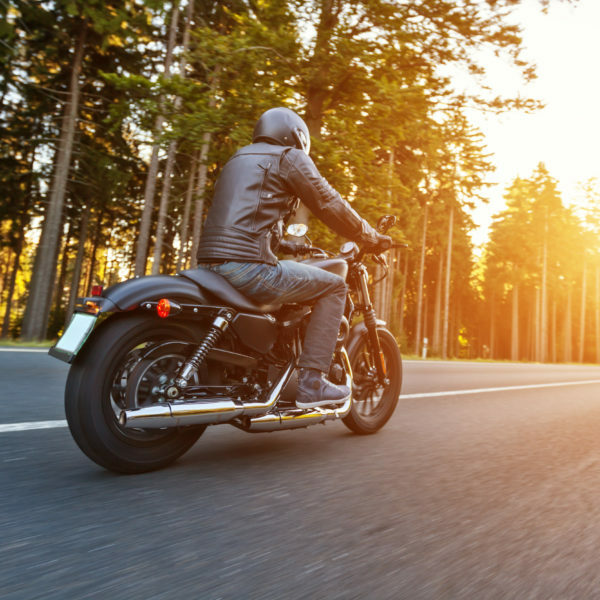 If you have been affected by a 2008-2010 Harley-Davidson Touring model motorcycle, contact the attorneys at Price Armstrong. We can help you seek justice and protect your rights throughout the process. Call us today at (205) 208-9588 for a free initial consultation and review of your case. Let us fight for you – call now!